This week we’ve been in Cornwall on a family holiday. I’ve never visited Cornwall before aside from the Eden Project (scandalous, I know!) so I was super excited. We set off on Tuesday evening after work, as it’s a really long drive down from the midlands and we were only visiting for a few days so wanted to make the most of it. Luckily we had a really smooth trip down and arrived at the house we were staying at at about 11.30pm. It was straight to bed as soon as we got there, ready for our first day in Cornwall. We woke up on the Wednesday to beautiful weather and sat in the garden with a bacon sandwich and a coffee before we set off on our adventures. 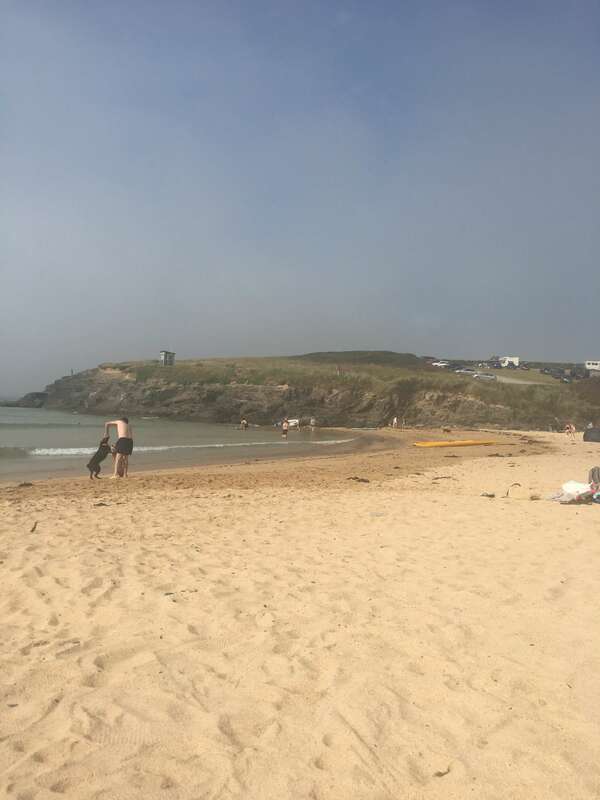 The house we were staying in was situated in St Merryn, near to Padstow, and after breakfast we drove to one of the nearest beaches. 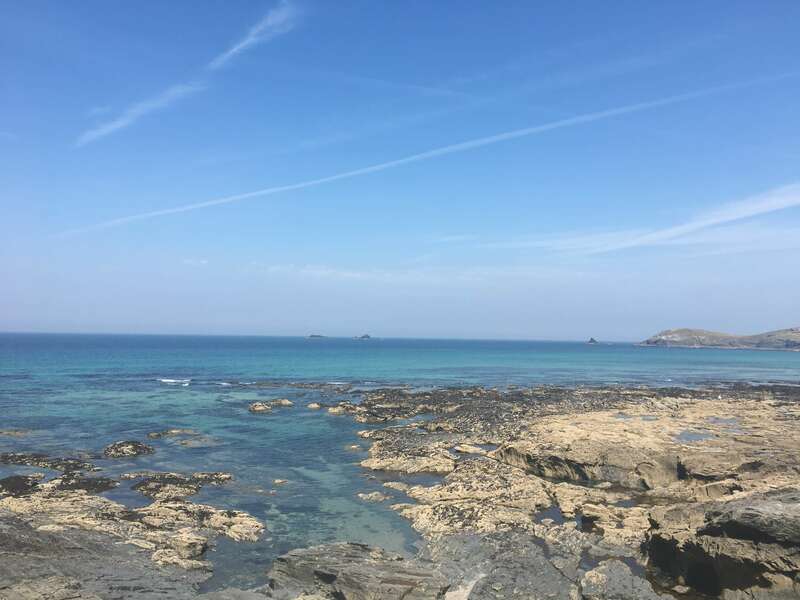 We walked round Constantine Bay and to Treyarnon Bay and both beaches are absolutely stunning – with the weather as well, it was just like being abroad – the sea was beautifully blue and turquoise. I literally wanted to move down there within about an hour of being there! We parked in a nearby car park which was only £4 to park for the entire day – perfect if you’re after a day at the beach with a picnic. Of course we got an ice cream pretty much as soon as we arrived from the first ice cream van we saw. We went for Cornish clotted cream 99s and they were delicious! At Treyarnon Bay we stopped for a drink at YHA Treyarnon Bay which was the only bar overlooking the beach. Drinks there were pretty cheap and we sat there soaking up the sun for a couple of rounds. We also checked out the bell tents and camping facilities there and we’re currently thinking about camping there soon – you can bring the dog too! 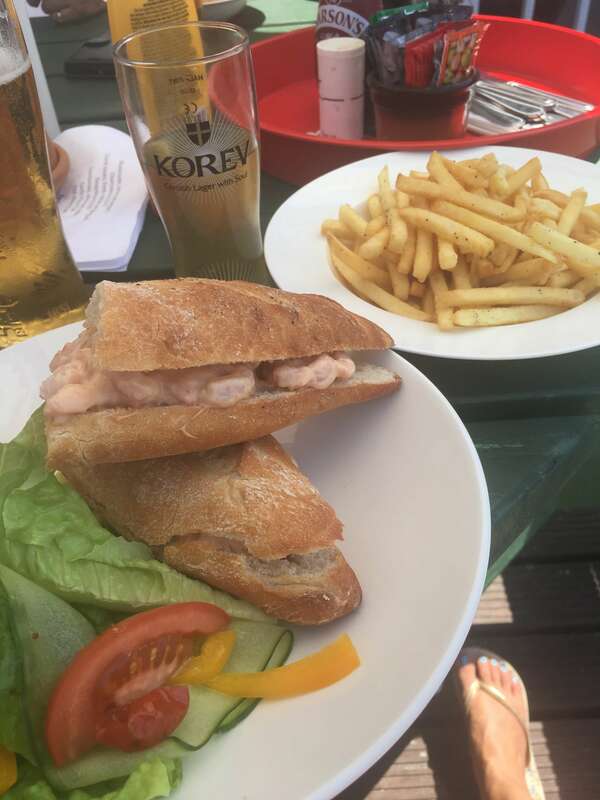 After our drinks we headed back to St Merryn for lunch at The Farmer’s Arms. This is quite a traditional small village pub with a lovely seating area outside. We went for some baguettes with chips (I had prawns!) which were really delicious…although they did get a little confused at our request for a chip butty! Then it was beach time! 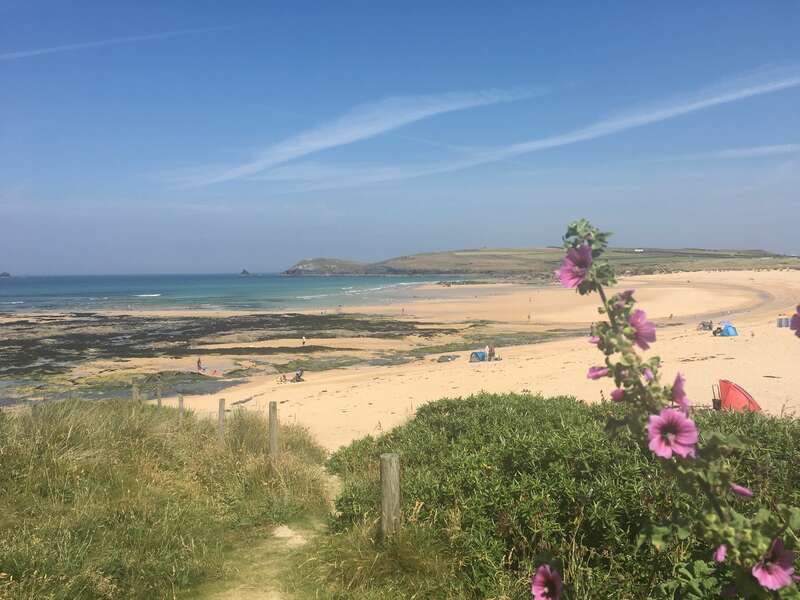 We headed to the nearby Harlyn Bay which is a large, beautiful sandy beach. It was quite busy as the weather was so good and there were plenty of people walking their dogs there. 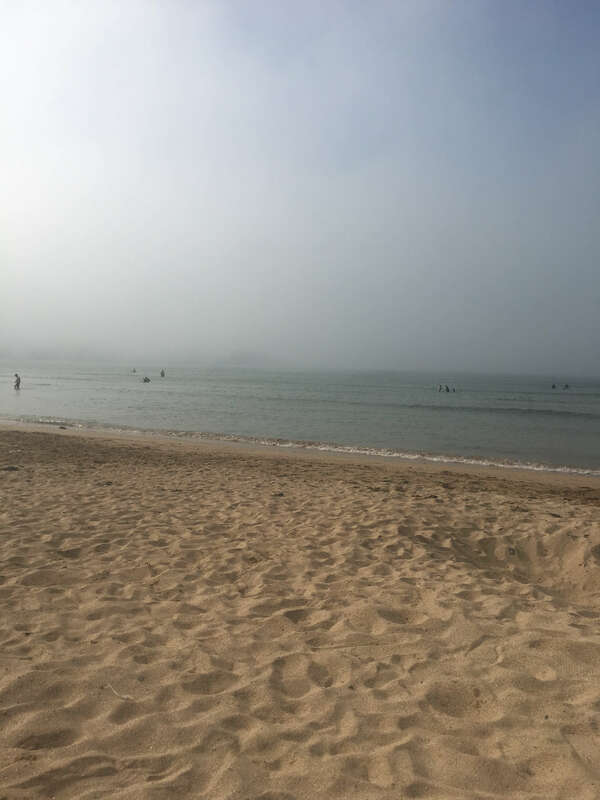 We dipped our toes in the sea – it was FREEZING but there were plenty of people enjoying a swim in the water – then slept on the sand for a couple of hours which was so relaxing. When we woke up, it got quite cloudy and the temperature really dropped so we headed back to the house for a lovely BBQ courtesy of my boyf’s brother and a few glasses of prosecco before heading off to bed. It was an ideal first day in Cornwall! Oh Cornwall is so lovely. Definitely one of my favourite places in the UK! 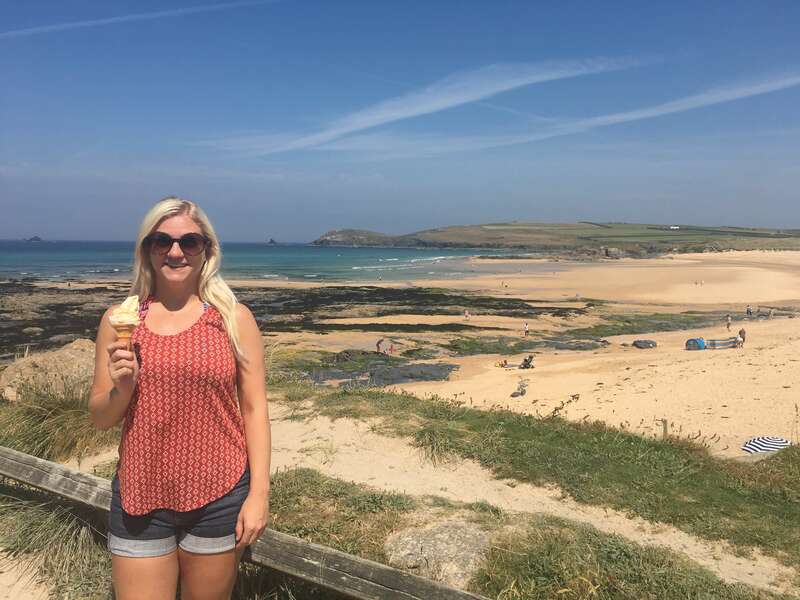 St Ives is my favourite spot, did you visit there? It looks like you had great weather for it too! Ahh no we didn’t get chance to visit St Ives but I’ve heard from a few people that it’s lovely so I will definitely put it on my list! I’m really keen to explore everywhere in Cornwall now I’ve fallen in love with it!